As winter draws in, fluttering, falling snowflakes settle on Lapland and the fjell’s of neighbouring Ostrobothnia, carpeting them with a sparkling white eiderdown of snow scarred only by the reindeer and husky trails that wind through the surrounding pine forests. Elves dress up warmly and walk to the top of a Fjell and listen to the voices of children all over the world. Christmas has begun. This is the land where Christmas dreams come true. 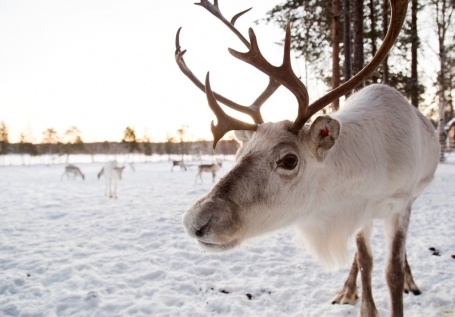 Harriniva Wilderness Lodge is set in the heart of Finnish Lapland, nestled on the banks of the frozen Muonio River. 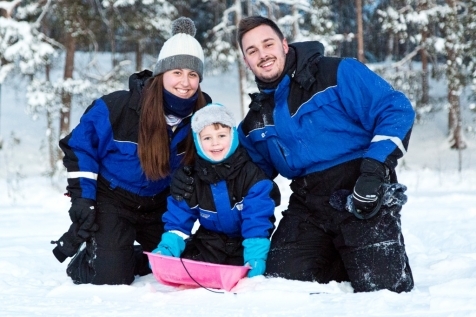 Wrapped in a cloak of pristine white snow this informal, friendly family-run lodge offers you the warmest of welcomes. 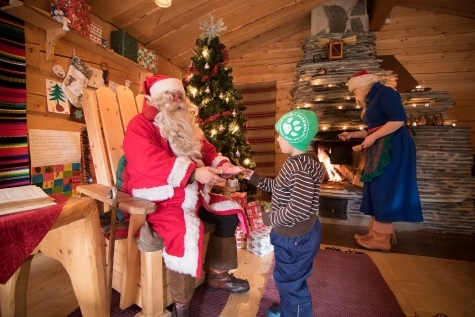 With its own husky kennels and reindeer corral, this is a fairy-tale setting for a magical Father Christmas experience. Enchanting and charming, Nellim is the definition of a hidden gem. Located on the shores of Lake Inari, this wilderness lodge is as quiet and beautifully remote a spot as you will find anywhere in Finnish Lapland. The owners, Jouko and Mari Lappalainen, have painstakingly converted what was once the local school into an authentically crafted home. Adding to the magical atmosphere is the chance of spotting the Northern Lights in this Aurora hot spot and discovering the secrets of Father Christmas. 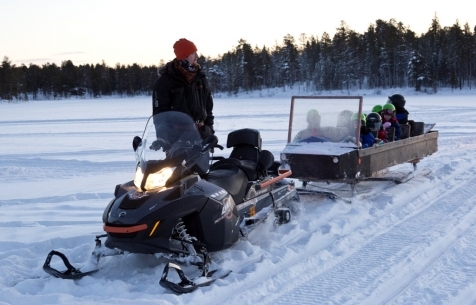 Harriniva Wilderness Lodge is set in the heart of Finnish Lapland, nestled on the banks of the frozen Muonio River. Wrapped in a cloak of pristine white snow this informal, friendly family-run lodge offers you the warmest of welcomes. 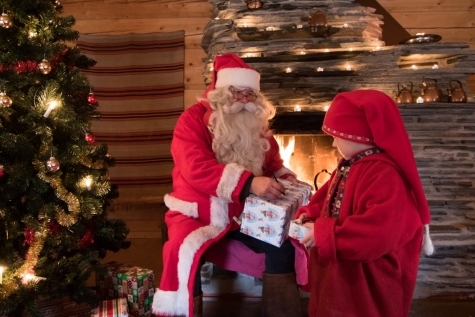 Home to its own husky kennels and reindeer corral, this is a fairy-tale setting for a magical Father Christmas experience. Huddled amongst the pine, spruce and birch trees of the Taiga Forest and close to Urho Kekkonen National Park, Muotka Wilderenss Lodge offers a restful retreat after a day of adventure. Kick sleds and toboggans are on hand for both children and adults to enjoy. This is a perfect place for a private meeting with Father Christmas.